↑ Julio A. Fernández (2000). 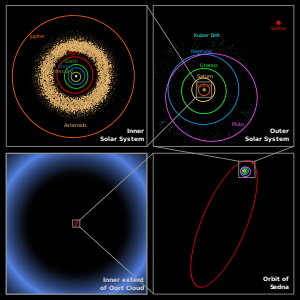 "Long-Period Comets and the Oort Cloud". Earth, Moon, and Planets 89 (1–4): 325–343. doi:10.1023/A:1021571108658. Bibcode: 2002EM&P...89..325F.